LONDON, UK, November 4, 2010 (ENS) – Fifty jewelers, with more than £3.5 billion (US$5.75 billion) in annual sales, say they will not source gold from Anglo American plc’s proposed Pebble Mine, which threatens the world’s most important fishing grounds for wild sockeye salmon in Bristol Bay, Alaska. Fraser Hart, a UK independent jewelry retailer; and Boucheron, a supplier of jewels to the British royal family; along with John Hardy and Ingle & Rhode are the latest signatories to a jewelers’ pledge to not buy gold from Pebble Mine. They join Tiffany & Co, Goldsmiths, Mappin and Webb, Beaverbrooks as well as other retailers and designers representing thousands of stores in the UK and worldwide that are opposed to the mine. “This is a milestone. Fifty jewellers refusing gold from a specific place or mine – it’s a precedent for jewelers,” said Bonnie Gestring, of EARTHWORKS, an international mining reform organization based in the UK. One of the world’s largest mining companies, Anglo American plc is headquartered in the UK and listed on the London and Johannesburg stock exchanges. The Pebble deposit is among the largest copper-gold porphyry systems, and one of the greatest stores of mineral wealth, ever discovered. The U.S. Geological Survey lists the Pebble resource lands as the most extensive mineralized system in the world. The proposed open-pit mine would be the largest in North America and is expected generate an estimated 10 billion tonnes of mine waste, much of it toxic and held on the site forever. If it goes ahead, critics say the mine would destroy salmon spawning habitat in a designated Fishery Reserve, and jeopardize the commercial fishing industry and the livelihoods of the Alaska Native communities in the region. 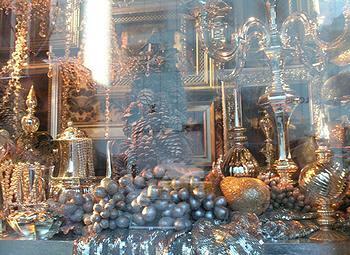 With gold selling at record highs of over US$1,300 an ounce, permits applications are expected next year. The Bristol Bay salmon fishery supplies a third of the world’s commercial supply of wild sockeye salmon. It is the mainstay of many Alaska Native communities and is critical to the state’s economy, generating an average of $400 million a year and over 5,500 jobs. The UK is the largest consumer of canned sockeye salmon from Bristol Bay, with $43 million worth of salmon exported to the UK last year. “Salmon is life,” said Bobby Andrew, a subsistence fisherman and spokesman for Nunamta Aulukestai, which translates as Caretakers of our Land, an association of nine Alaska Native village corporations in Bristol Bay. 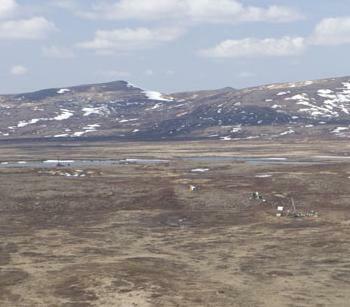 The proposed Pebble Mine, roughly 200 miles southwest of Anchorage, is a project of London-based Anglo American and Northern Dynasty Minerals of Canada. The two companies now hold 163 square miles of mining claims. The partnership has poured US$323 million into the project so far and has earmarked a total of $1.4 billion for this stage. The gold and copper mine would require construction of large dams to contain toxic mine waste, a deepwater port, pipelines, an 86-mile road, a power plant, and hundreds of miles of power lines. On December 3, the Keystone Center for Science and Public Policy will convene a day-long event featuring independent science panels on the proposed Pebble Mine. Held at the University of Alaska, Anchorage, the discussion is intended to help stakeholders make informed decisions about the mine. 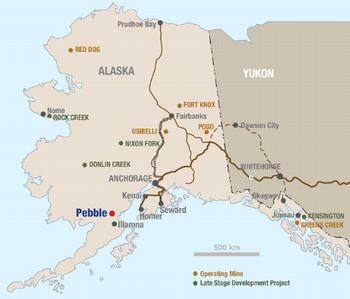 It follows a stakeholder assessment process in 2008, during which the Keystone Center talked with some 90 people in southwest Alaska to identify areas of environmental, social, and economic concern associated with the proposed Pebble Mine. The science panels will review information in the following topic areas: geology and geochemistry; hydrology and hydrogeology; fish, wildlife, and vegetation; social and economic dynamics; responsible large-scale mining; and risk assessment.